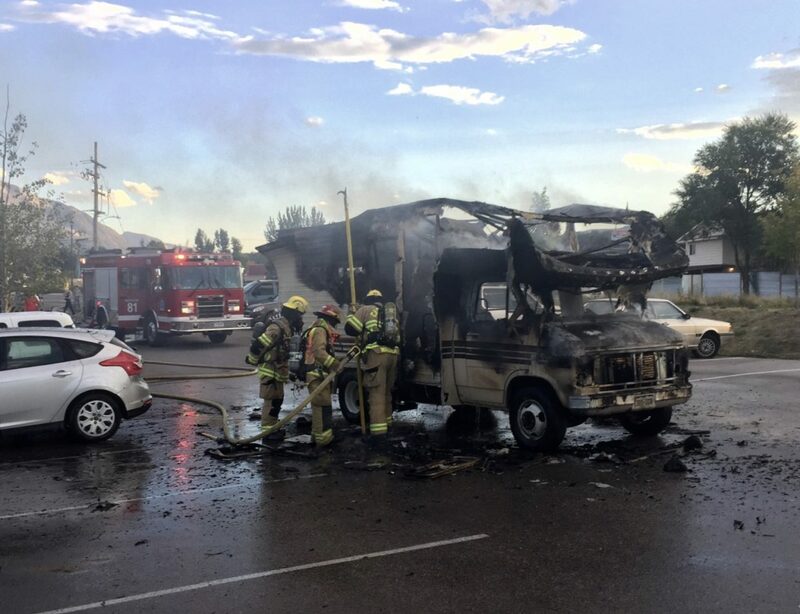 The Carbondale Fire Department responded to a camper on fire in the parking lot of Sopris Shopping Center in Carbondale just before 6:30 p.m. Monday. Fire fighters were able to keep the fire contained to the vehicle, which was a total loss.The fire reportedly began in the dash panel as the driver was moving through the parking lot, according to Carbondale Fire officials on the scene. After attempting, unsuccessfully, to put out the fire himself, the Fire Department was called The fire created a huge column of smoke that was visible along Highway 82 approaching Carbondale from both directions.